How much fun will you have using the power of soccer to change the odds for at-risk young people around the world? A 3v3 PickUP Tournament is your opportunity to help GRS empower at-risk young people to overcome their greatest health challenges. 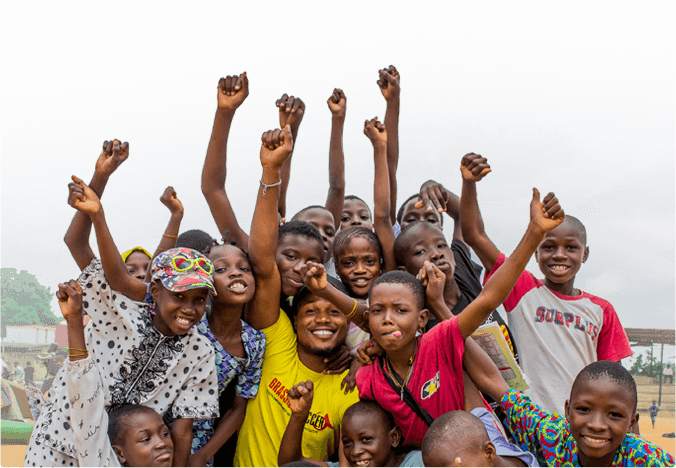 You create a signature 3v3 soccer tournament that educates participants about adolescent health challenges in Sub-Saharan Africa, engages your college, high school, or community through sport, and funds programs that build the foundation for healthy, empowered lives. Soccer and education are the foundation of 3v3 PickUP Tournaments. The rest is up to you and your imagination. 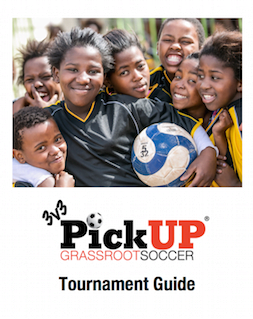 Start by contacting Grassroot Soccer and exploring the Tournament Coordinator’s Guide. We’ll support you as you plan your event! Find a committed group of volunteers to help bring the tournament to life. They’ll be able to help you recruit participants, secure sponsors, and promote your event. Design a signature tournament that educates participants and raises critical funds. We’ve got the tools to support you along the way! Enjoy your hard work and the power of soccer to make a difference. Check out one of the biggest 3v3 Tournaments in the world. Portland Barefoot has taken the 3v3 concept and created a soccer carnival that attracts 150 teams every year! Download our 3v3 Tournament Coordinator Guide to get started! Inside, you'll find all the information you need to bring a high impact event to your community. St. Paul’s School consistently delivers among the highest impact 3v3 PickUP Tournaments Grassroot Soccer sees each year, drawing nearly 100 percent participation and consistently raising more than $3,500. Here’s how they do it. SUSTAINABLE LEADERSHIP | Each year, St. Paul’s assembles a team of two seniors and one junior to coordinate its event. The junior from the preceding year remains on the team as one of the two seniors, ensuring that the tournament benefits from previous experience. Not only that, but the team has the support of St. Paul’s Community Outreach Director, who helps each team improve on tournaments of years past. PERSONAL TOUCH | The St. Paul’s coordination team does everything possible to give their event a home-grown, signature flavor. For example, they design and sell tee shirts and hooded sweatshirts that feature a unique design. These have become must-haves on the St. Paul’s campus. CREATIVE FUNDRAISING | For students who are up for a duel in the digital world of soccer, St. Paul’s organizes a FIFA video game tournament that takes place the day before the 3v3 PickUP. The finals take place on the big screen in the school’s movie theatre. Dartmouth College has a history of putting on big 3v3 PickUPs. In fact, it’s where the first 3v3 PickUP took place back when they were called ‘Lose the Shoes’ tournaments. While that moniker may be gone, Dartmouth’s 3v3s aren’t. Here’s what’s made some of Dartmouth’s tournaments memorable. FOCUS ON FUN | In order to attract enough participation to raise significant funding or awareness, a 3v3 should be fun. For example, Dartmouth has made costumes an integral 3v3 tradition. Just a few years back, a team dressed entirely in Santa Claus suits barely edged out a group of Teletubbies to claim the spirit award. ACTIVATE THE CAMPUS | Dartmouth does whatever it can to involve student groups and faculty to broaden the impact of their event. One year, four a capella groups performed during the 3v3 PickUP and a professor gave a talk about HIV and AIDS in Africa. Portland Barefoot’s approach to 3v3 PickUP Tournaments stands out amongst the rest. The numbers really do speak for themselves, with over $14,600, $15,200, and $20,600 raised at the last three tournaments. Portland has a magic mix and fortifies the basic 3v3 PickUP framework to create a true festival. SOMETHING FOR EVERYONE | There is something for everyone at Portland Barefoot’s 3v3. This year, the coordination team brought in a group of professional street soccer players to teach skills and tricks to participants; they organized soccer volley ball; they rented a soccer ball cannon to launch crosses to anyone willing to try their luck at bicycle and scissor kicks; and they had a field set aside for participants to hurl themselves at each other in bubble soccer games. INVOLVED SPONSORS | Portland Barefoot reaches out to local organizations, big and small, to support their event. This year, members of the Portland Timbers, the local MLS team, made an appearance. Lots of other partners also got in on the action: Subway, Golazo Sports Drinks, Bazooka Goals, and the Portland Thorns of the National Women’s Soccer League, just to name a few. Each sponsor brings something to the table.